"Every special occasion deserves a special location - that's what you get at the Broadfield Hotel. Set amongst beautiful surroundings we boast three well-appointed private function rooms that cater for up to 200 guests." 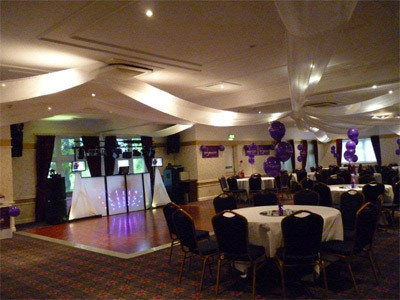 "The Broadfield Park Hotel Rochdale is a super place for a medium to large party of any kind with a very adaptable long room on the Ground floor. The room has a mixture of carpet and wooden floor that gives you loads of space. The only down side is the bar area is small (Based on the size of the room) so if the venue is full service could be an issue. Access to the venue is through the front door of the hotel through a lovely old reception or the side fire door in to the venue." All reviews are the subjective opinions of third parties and not of the website or its owners. Reviews are placed by members of the public that have held a function or event at Broadfield Park Hotel. 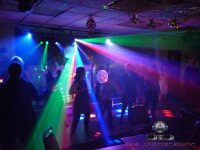 At needadisco.com we only accept reviews from confirmed clients that have booked a DJ to play at Broadfield Park Hotel via our website, with the arrangements independently verified by both the DJ and the client before the event takes place - no "fake reviews" here! 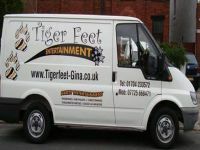 Helpful information for DJs and entertainers visiting Broadfield Park Hotel provided by trusted members of needadisco.com. PARKING: Car park for about 30 cars, if there is space right outside fire door to function room. ACCESS: If you you can park outside fire door then it's easy. Through door and your in the room. FACILITIES: Set up on carpeted area, quite large. ACCESS: Access point by fire door and set up area is across the room. Information is based on enquiries and bookings handled via needadisco.com so whilst it's a great insight, if you have any questions or concerns about holding a function or event at Broadfield Park Hotel please contact the venue. Broadfield Park Hotel has previously been hired as a venue for private parties such as birthday celebrations, anniversaries, engagements etc. Broadfield Park Hotel has previously been hired as a venue for functions and events such as sports club social evenings, masonic events etc. Broadfield Park Hotel has previously been hired as a venue for corporate events such as works parties, product launches, prizegivings etc. Broadfield Park Hotel is in our Hotels category. The map below shows other local venues in the same category.